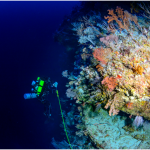 When people think of coral reefs, they typically picture warm, clear waters with brightly colored corals and fishes. 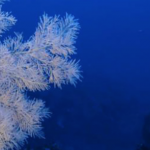 But other corals live in deep, dark, cold waters, often far from shore in remote locations. These varieties are just as ecologically important as their shallow water counterparts. 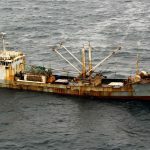 They also are just as vulnerable to human activitieslike fishing and energy production. Plastic contamination is now recognized as one of the most serious environmental issues for oceans. Both macro- and microplastic debris are accumulating in surface and deep waters. 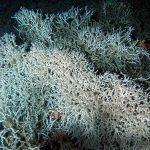 However, little is known about their impact on deep marine ecosystems and especially on the deep-sea reefs built by emblematic cold-water corals. The aim of this study was to investigate whether plastics affected the growth, feeding and behaviour of the main engineer species, Lophelia pertusa. Our experiments showed that both micro- and macroplastics significantly reduced skeletal growth rates. 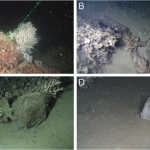 Macroplastics induced an increased polyp activity but decreased prey capture rates. They acted as physical barriers for food supply, likely affecting energy acquisition and allocation. 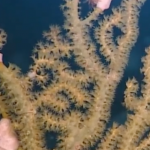 The seafloor is one of the last unexplored regions of our watery planet. 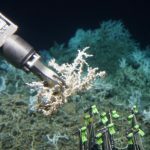 On a recent expedition dubbed Deep Search 2018, a group of ocean researchers discovered 85 miles of deep-sea coral reef off the coast of the southeastern US. “Good news is too rare these days, and this is a victory that we can all share. 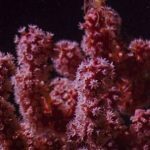 We have found a pristine coral reef in our own backyard,” Erik Cordes, the chief scientist on the expedition and a deep-sea ecologist at Temple University, wrote in a mission summary. 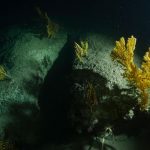 The deep sea might be cold and dark, but it’s not barren. 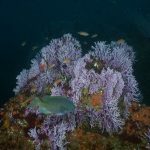 Down here, an incredible diversity of corals shelters young fish like grouper, snapper and rockfish. Sharks, rays and other species live and feed here their whole lives.